Well, apart from that disappointing early period where I could barely hold a crayon never mind summon a coherent idea. My mother wrote poetry for her own entertainment and I grew up in a house full of books where my father was always reading something, anything; books about history, science, weather, the occasional novel, or basically whatever came to hand. And that was before we got one of those leather bound sets of extensive encyclopaedias that were the 1970s equivalent of the world-wide-web in terms of funnelling snippets of information into your head. Reading and writing were always just a thing that people did. Kids are natural story tellers anyway, aren’t they? I can certainly remember spinning an elaborate tale about my grubby appearance being the result of a puddle of mud jumping up to attack me. My mother didn’t buy it. My first rejected story, I guess. 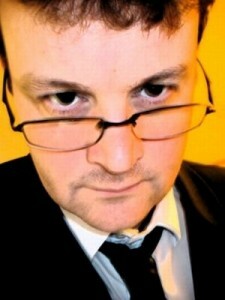 In my last year of primary school, a local Northern Irish author came to give a talk. Martin Waddell (responsible for, amongst other things, the adult thriller Otley and the slightly less adult—but still thrilling—Ernie’s Flying Trousers), told us about story and craft and that sort of thing. He also explained why he wrote spooky kids stories under the name Catherine Sefton, which was something to do with appealing to a different audience than the blokey action-adventure of spies and experiments; I remember this confused me at the time as I figured everyone should just read everything because books are books, right? He ran a competition called something like ‘My Best Author’ where we had to write a short story and he would pick the winner. I won first place with a (probably) tightly plotted piece of flash fiction about time-travelling pirates attacking an ocean liner. I can remember very little about it beyond the fact that it ended badly for the pirates, and that I deployed that classic trope where someone believes a camera is capable of stealing their soul. Still, it was important validation for a fledging author. An actual writer liked my style. At the same time I’d managed to persuade him to take a look at my current work-in-progress. An adventure novel called The Junior Mafia. It was hand written on lined A4 paper and neatly arranged in a folder. I’m not sure how much of it Martin managed to read, but he did give me some excellent advice. The Junior Mafia had middle-grade comedy, knock-about car-chase scenes, and more gunplay and explosions than the Second World War. I needed to decide, he said, was this a serious book where violence was real and dangerous, or more of a Disney-style adventure story where no-one ever got hurt. In short, he told me about the importance of tone. You need to find the right tone for your story and then maintain it. Be bleakly serious, be quirky and light-hearted, or write it full of wry smiles and knowing winks as a defence against the stark horror of what happens. Find the attitude that works and own it, beginning to end. 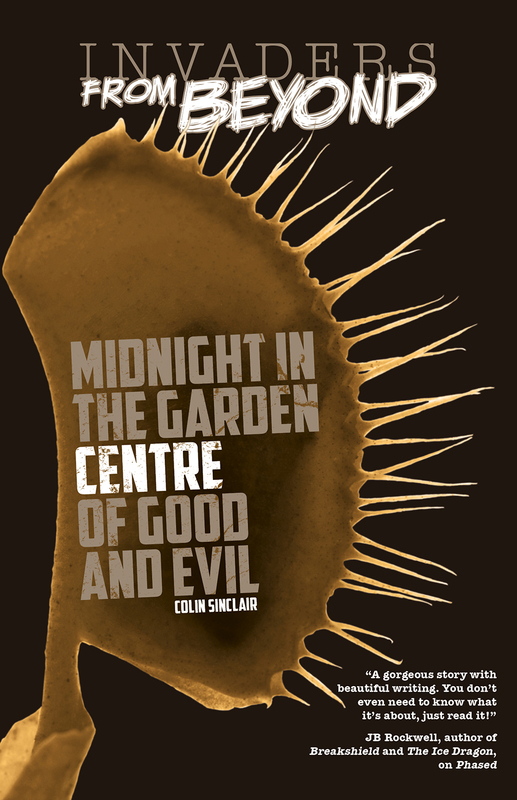 With Midnight in the Garden Centre of Good and Evil, it’s all about the Abaddon Books brand of pulp adventure and excitement. It’s not exactly a solemn po-faced treatise on the vulnerability of humanity in the face of implacable unearthly terrors. It’s more blasé than that, and has more jokes. 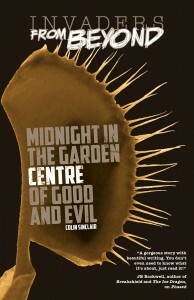 Midnight At The Garden Centre Of Good And Evil is out now!